Home Marijuana News Do You Really Need To Tell Your Doctor You Smoke Pot? 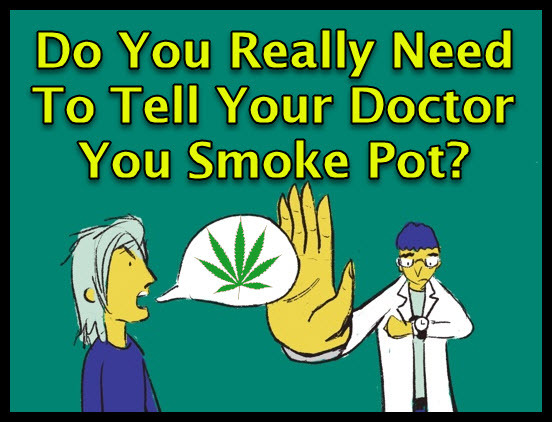 Do You Really Need To Tell Your Doctor You Smoke Pot? You might have been able to get away without telling your doctor that you smoke or consume pot. But we’re here to tell you that that might not be a good idea in some circumstances. Being transparent to your doctor isn’t just an act of courtesy, but it could actually save your life. Cannabis interferes with the process and efficacy of how drugs are metabolized in your body. While cannabis is safe and well-tolerated in most patients, mixing it with other medicines can have side effects. Remember that cannabis contains not just THC and CBD, but many more compounds that haven’t been studied enough, so it’s always best to stay on the safe side. Painkillers, NSAIDs, insulin, blood thinners, sedatives, and blood pressure drugs can all interact with cannabis in your body. These medications all work in different ways by affecting metabolic processes differently. Some NSAIDs have been shown to have a synergistic effect when mixed with pot, offering more potent pain relief which is helpful for patients suffering from chronic pain. But there are hundreds of these drugs out there, all of which have different chemical makeup and compositions so it’s necessary to be clear with your doctor to reduce the risk of any side effects. Even eye drops which could be prescribed to treat your glaucoma can interfere with your cannabis habits. In fact, you’ll probably need less than you think. Your ophthalmologist can recommend how best to supplement your medicine intake with eye drops, and instead of taking both cannabis and eye drops, you may be recommended to take it just once a day. We know that cannabis has the potential to save lives among those who have been affected by the Big C. Yes, there are many stories of people who have cured their cancers on cannabis alone, but the truth of the matter is that we don’t have sufficient evidence just yet on how best to use cannabis. We should not treat it as a cure-all, or this could be playing a risky game with death. You should also keep in mind that in many cases, cannabis can work even better in conjunction with conventional therapy in fighting cancer. It’s understandable that the idea of having to undergo surgery can bring on a case of the nerves, and you might turn to cannabis to help you calm down before the big day. Surgery will require you to be given anesthesia, but cannabis acts as a depressant in the human body by reducing heart rate and blood pressure. Anesthesia is also a depressant. Mixing these two in the body can have undesirable effects and can even be fatal. “The combination of marijuana with other sedative hypnotic drugs may enhance depression of the central nervous system,” and can lead to a “profound” decrease in breathing, reads a 2005 study published in Current Opinion in Anaesthesiology. In other words, mixing cannabis and anesthesia can cause you to stop breathing while you’re in surgery, even if you’ve consumed it hours before. Depending on the kind of surgery you’re undergoing, you may be able to safely use cannabis to help and even speed up the healing process. Again, it would be best to talk to a knowledgeable doctor about the issue. Regardless if cannabis is legal in your state or not, telling your doctor if and how often you consume cannabis either medically or recreationally is necessary. You may be the authority on what things feel good for both your mind and body, but it’s a physician who is an expert on the sicknesses that may be ailing you. It would be good to at least think about what a doctor has to say. 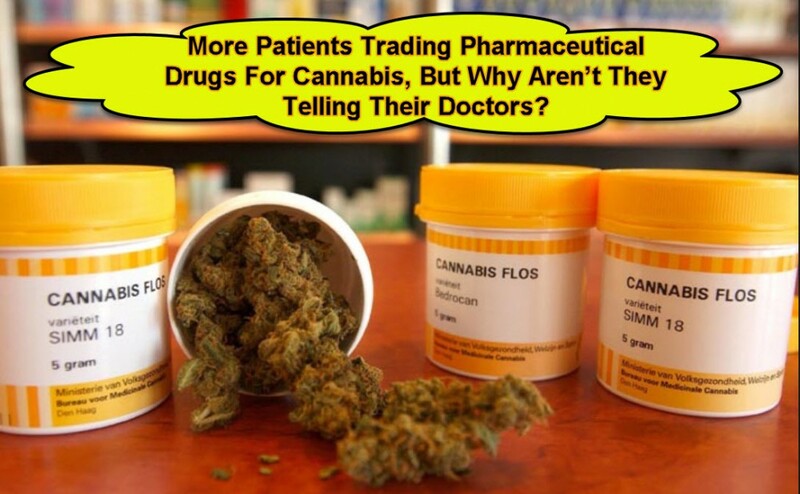 If you feel that your doctor may have a prejudice against cannabis or isn’t knowledgeable enough about it, it might be high time for you to choose another doctor – it’s for your own good. It also helps to read up on your rights based on where you live. 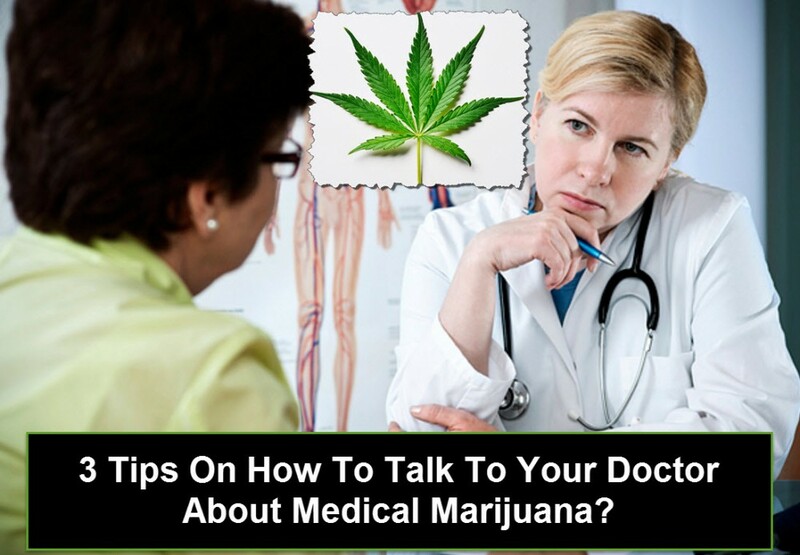 HOW TO TALK TO YOUR DOCTOR ABOUT WEED, CLICK HERE. SHOULD YOU TELL YOUR DOCTOR YOU SWITCHED TO CANNABIS? CLICK HERE. 'Smoke, doctor, need, really”, Tell. Bookmark.